Premium quality Larder Units are supplied by Marstrade. The Larder Units are used mainly for storing essential kitchen wares. Available in various sizes, dimensions and colors the Larder Units are highly popular among the clients. The Larder Units are made from superior quality raw materials and can be single handled. The Larder Units are mainly used in the kitchens of homes and hotels. The Larder Units can be availed at the market-leading prices. The variety offered by us includes 5 Basket Larder Unit and 10 Basket Larder Unit. 5 Basket Larder Unit are supplied by us in bulk to the clients. The 5 Basket Larder Units have five baskets and are used for storing essential kitchenware. 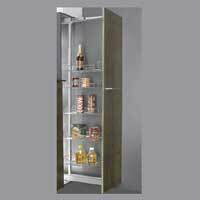 The 5 Basket Larder Unit is available in attractive colors, sizes and dimensions. 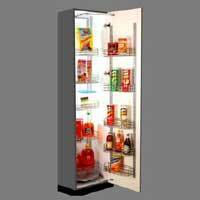 Avail the superior quality 10 Basket Larder Unit from us. The range is provided with ten baskets and has the capacity to store more essential kitchen wares. The 10 Basket Larder Unit are available at vary reasonable price.